For one thing, Wellsboro has a wide grassy median down the center of Main Street (like in the movie), and rows of romantic old Victorian gas lights that lend a warm glow to the quaint town at dusk. In our minds’ eye, like Bedford Falls, Wellsboro is a great example of the best of 1940s Americana. 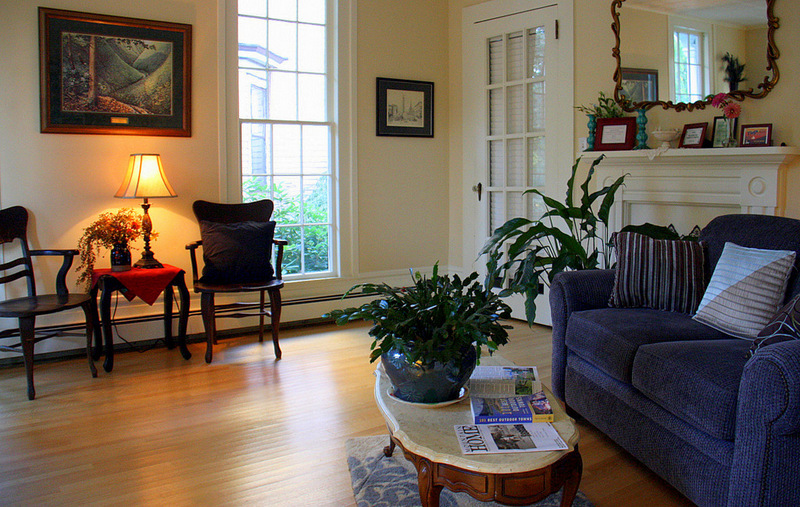 Safe, clean, with well-maintained stately homes set back from wide streets lined with elegant elms and maples. Close your eyes, and you could easily be in a landscaped New England village illustrated by Norman Rockwell. 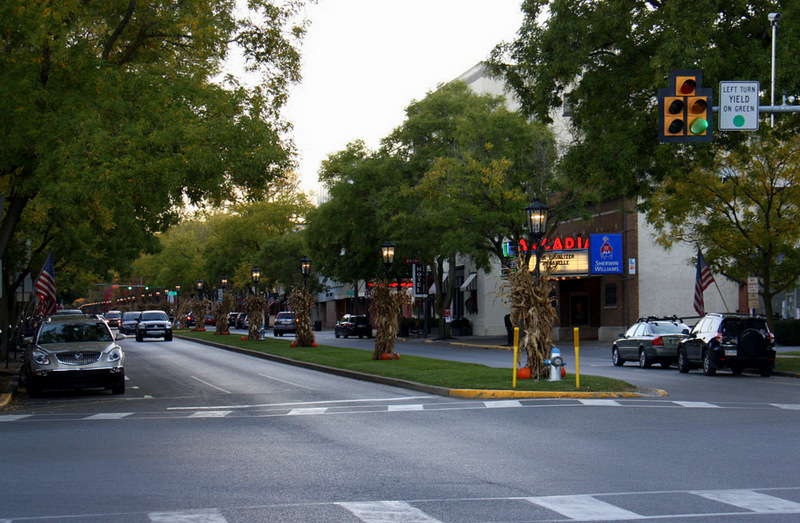 Wellsboro is a rural small town with lots of outdoor activities. 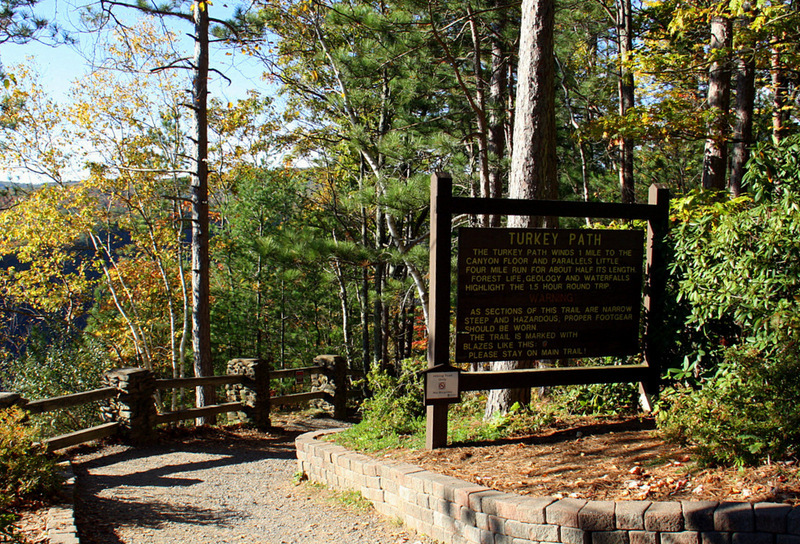 The two we found most interesting were the lovely park overlooking the Pine Creek Gorge a.k.a. the Grand Canyon of Pennsylvania, and the nearby Pine Creek Trail. We visited the Gorge at Colton Point State Park overlook, where it’s an invigorating one-mile hike down to the bottom of the canyon via the steep Turkey Path Trail. The journey is worth the effort to experience the waterfalls and breathtaking views. 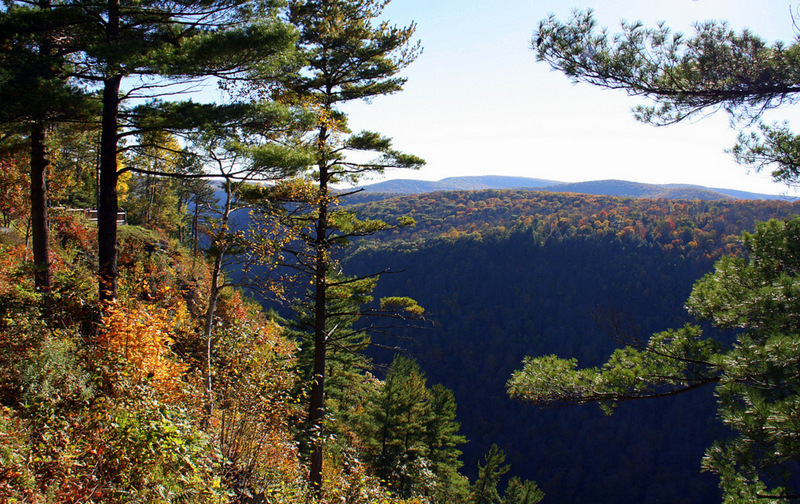 Very different from the Grand Canyon of Arizona, the Tioga County Grand Canyon of Pennsylvania is a dense forest. It is a sportsmen’s paradise with kayaking, canoeing, fishing, swimming, boating, hiking, biking, horseback riding, and hunting – all easily accessible. 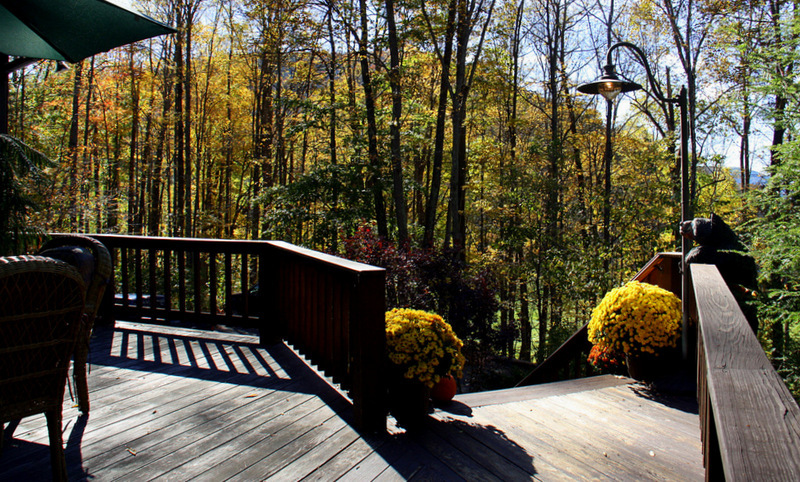 Pennsylvania has more than 17 million acres of forests shared by the residents at little or no personal expense. This is fishing and hunting country, and local children are taught to respect firearms at an early age. Hunting is a time honored tradition in Pennsylvania, and the state’s sensible conservation rules keep the animal populations robust, healthy, and well managed – and the residents well fed with tasty game recipes! 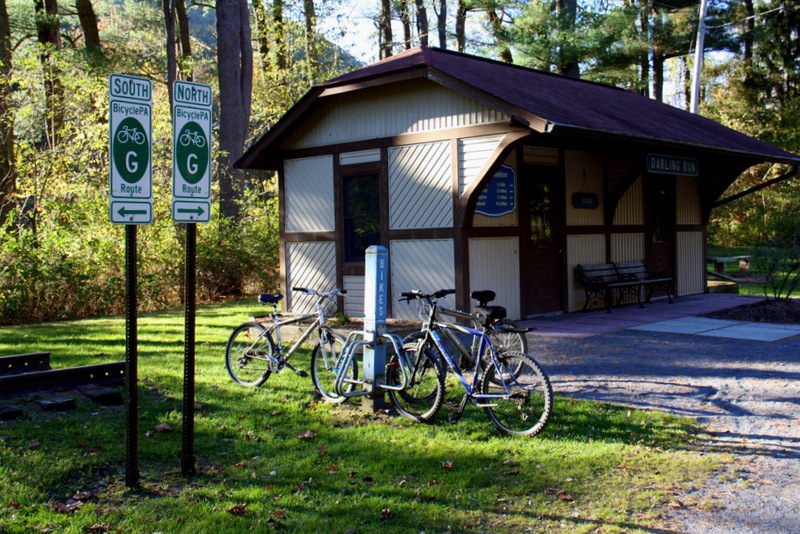 The Pine Creek Rail Trail was once a roadbed for lumber and coal trains, and later for tourist excursion trains – however, the railroad ceased operations in 1989. Subsequently, state, railroad, and community officials cooperated in removing the tracks and transitioning this beautifully scenic rail-bed into one of the premier bike and equestrian trails in the country. The trail is 62-miles long with only a 2% grade over the entire distance. 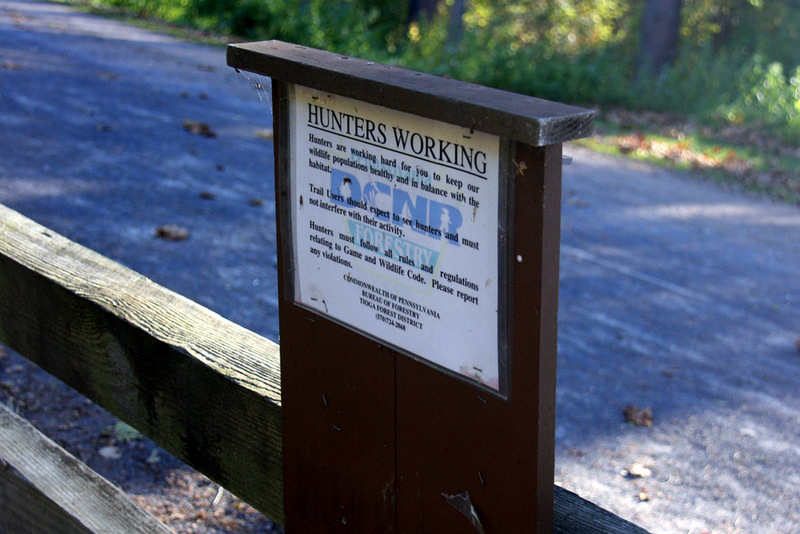 A well-maintained base of hard-packed gravel is waiting for all outdoor enthusiasts – free of charge. 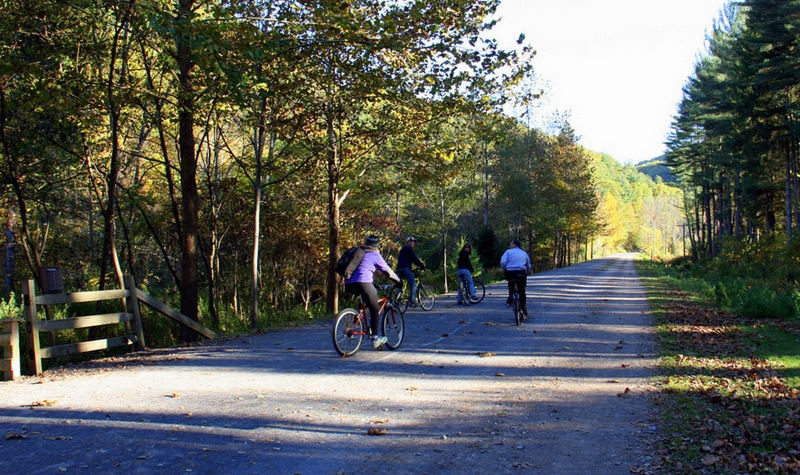 Hunters, joggers, equestrians, and bicyclists all share the Pine Creek Rail Trail with mutual respect. 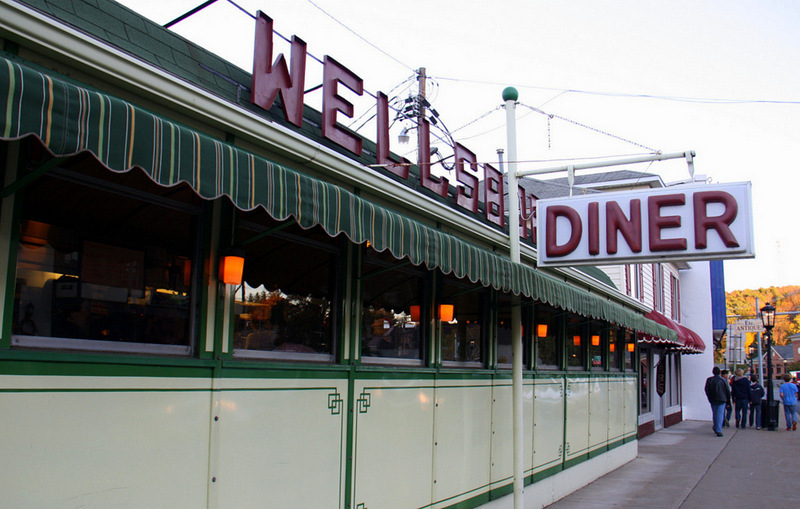 There are more than a half dozen fine restaurants in this little town, but be sure to drop by the famous Wellsboro Diner for a delicious breakfast, or a sizzling burger and fries with a homemade peach pie chaser. 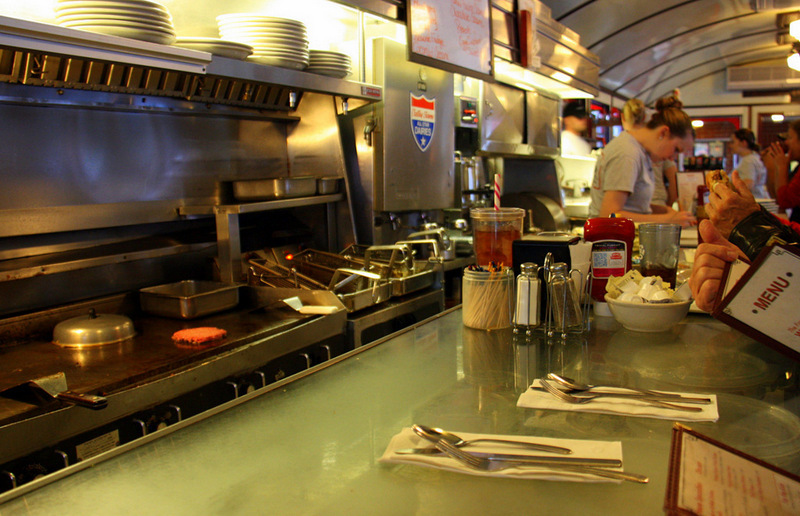 There is something special about an All-American diner. The sight of one brings smiles and visions of hearty heartland foods like a hot roast beef sandwich with mashed potatoes and gravy, and a chilled chocolate malt from a stainless steel blender – all at sit-down prices that everyone can afford. 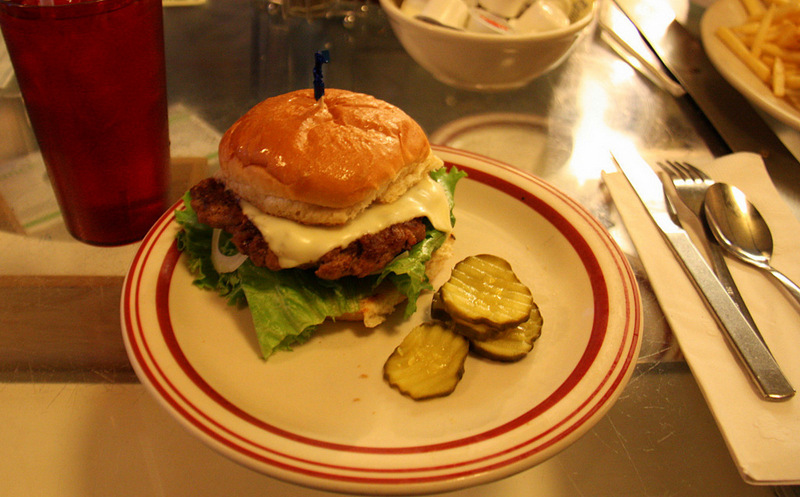 The 600 or so authentic American Diners remaining in the nation are an important part of our heritage. A place where folks from all walks of life sat side-by-side and talked about important matters – like the weather and the Babe’s latest stats. A hot cup of java awaited every after movie date, and everyone had a favorite seat at the counter. Operating in the same location since 1939, the highly successful porcelain-enameled steel Wellsboro Diner seats about 100 and is the perfect fit for its downtown setting. Do not miss it! 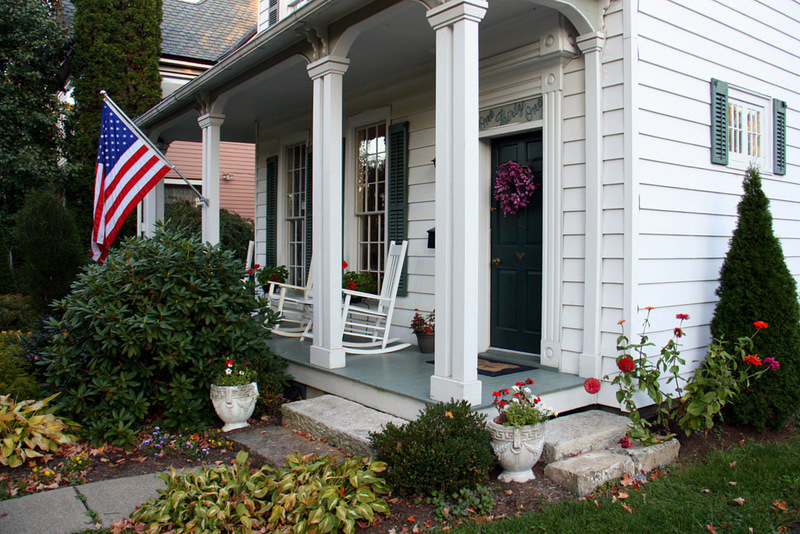 There are several delightful places to stay in and around Wellsboro, and a reader recommendation led us to a true gem. 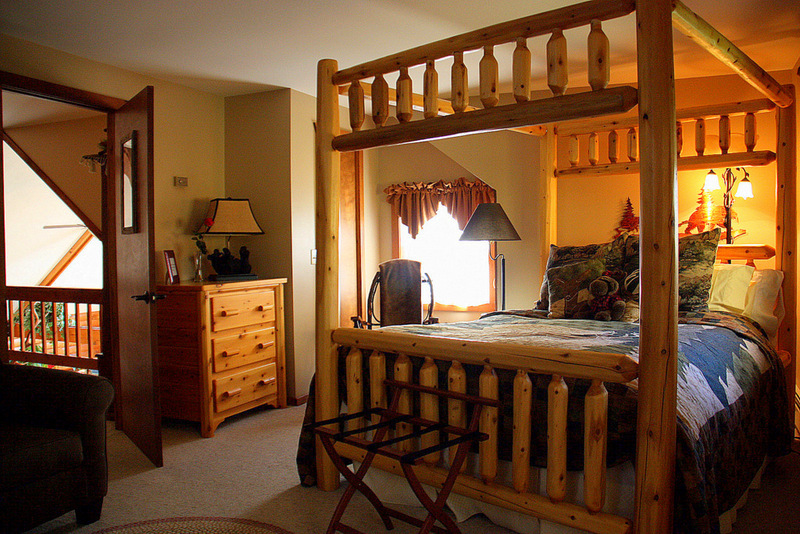 The Bear Mountain Lodge is a wonderfully rural and luxuriously rustic log-cabin inn with four well-dressed guestrooms. The minute we walked through the door we felt at home. There is a well-stocked kitchen with gratis munchies, drinks – including Keurig coffee, and fruits for all the guests. The in-room refrigerator is also full of goodies. Our “Whitetail” suite was extra-cozy, and had a spacious bathroom furnished with delightful locally made soaps and potions. 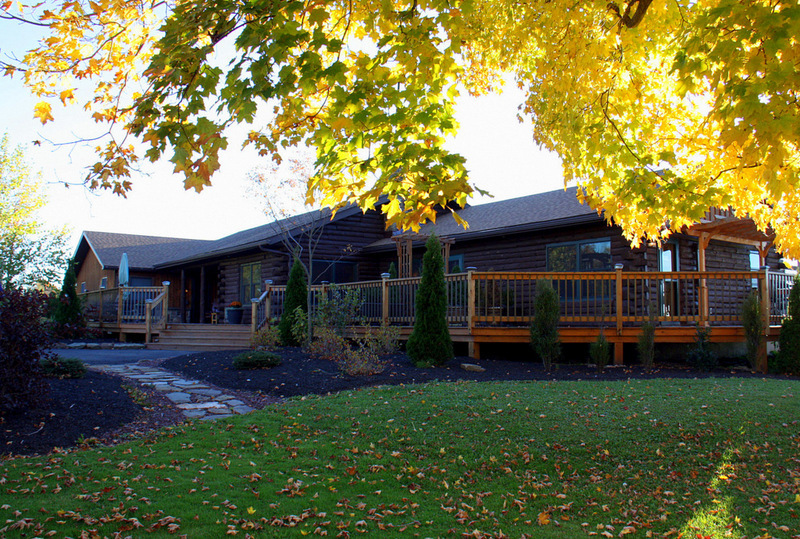 Amiable owner Jim Meade, converted his custom home into this unique guest lodge in 2005. The Bear Mountain Lodge is tastefully decorated with dozens of woodsy furnishings, all adding to the exclusive hunting lodge ambiance. The thickly treed grounds are well-maintained and the innkeepers invite guests to enjoy the wilderness and its inhabitants. 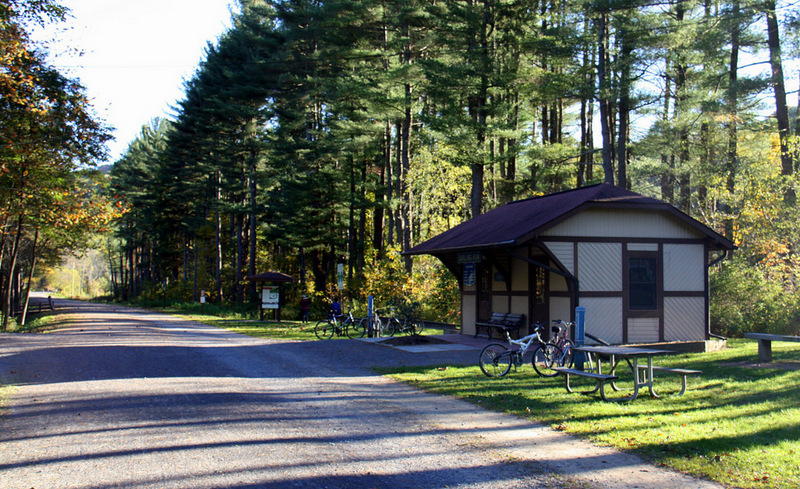 There’s even a bike barn on property for those wanting to try a ride on the local trails. 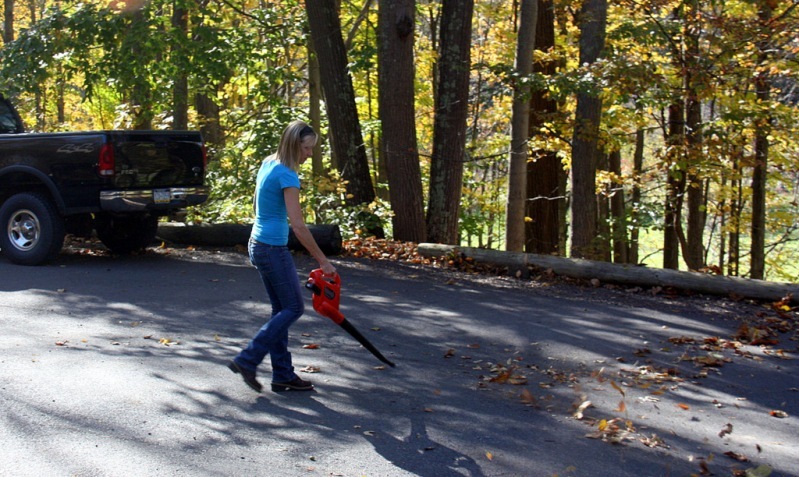 Sherri, the lodge hostess, was blowing leaves off the driveway when we arrived. She keeps the elegant inn uber-clean and neat-as-a-pin the year round. 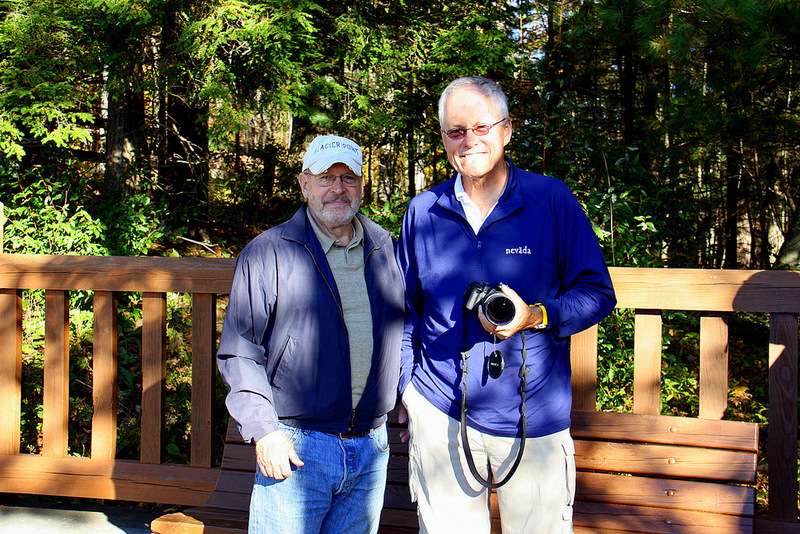 The lodge is just minutes from town, but if you would prefer to stay right in the heart of Wellsboro, Jim Meade has the answer. 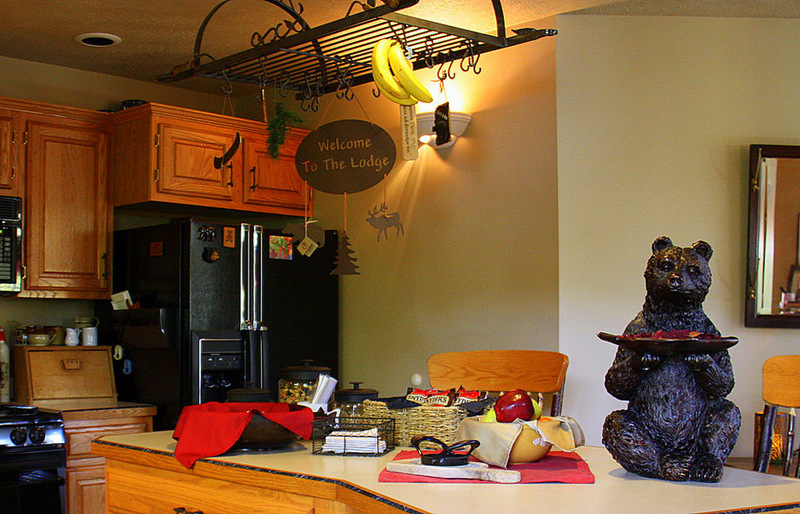 Check out his Bear Mid-town Lodge at www.131mainstreet.com and look at the bottom right side of the website to see all three of Jim’s properties. All of Jim’s Wellsboro lodgings are excellent and warrant our enthusiastic two thumbs up rating. His Bear Meadows Lodge is pictured above. 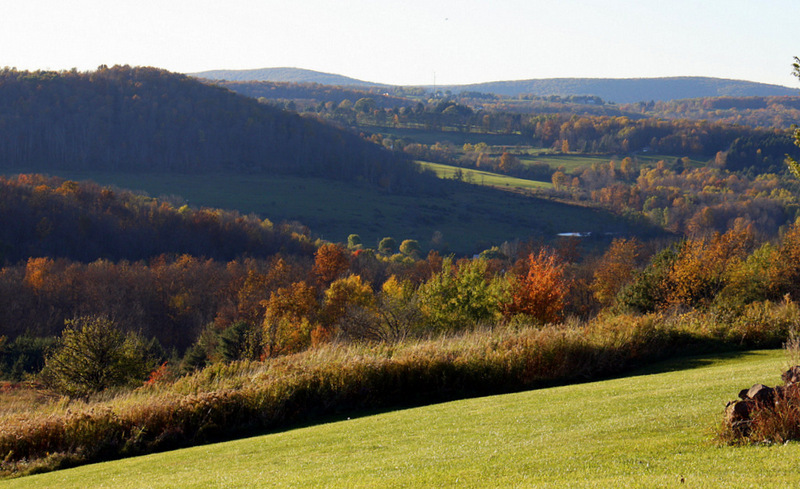 Wellsboro is located in beautiful north-central Pennsylvania, just south of the New York state border. 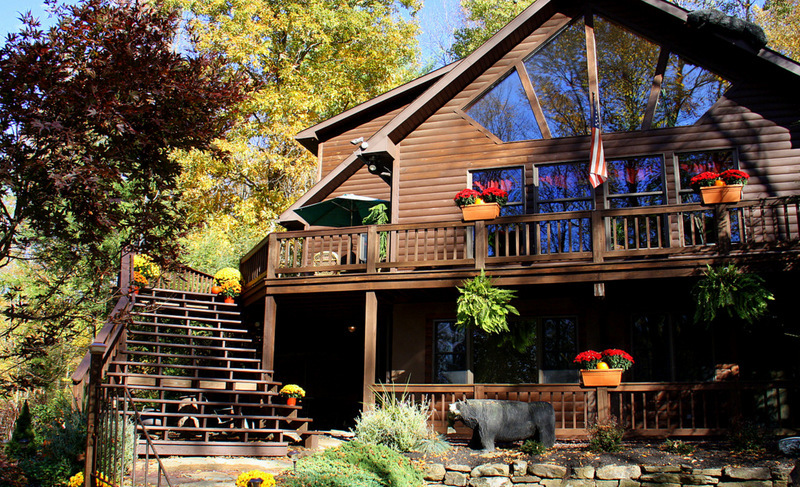 Bear Mountain Lodge is at 8010 Route 6, just west of Wellsboro, and within 5-miles of everything mentioned in this article. Here’s a map. 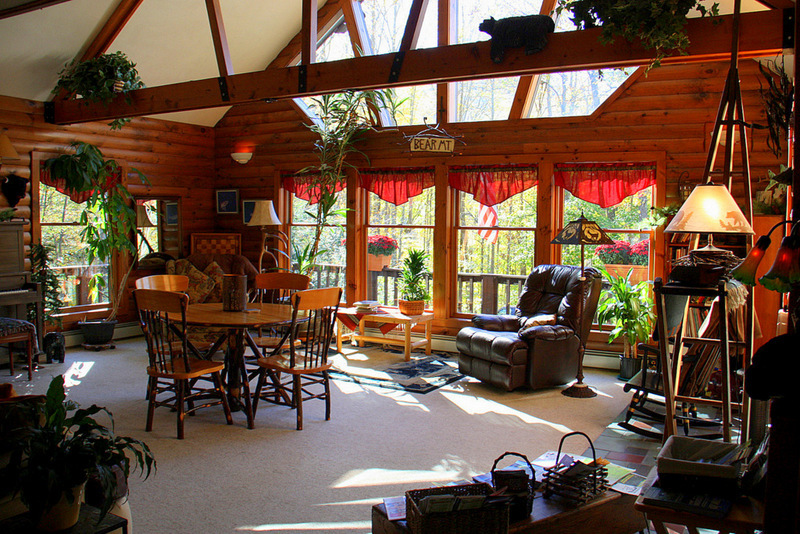 Click here for additional details about Bear Mountain Lodge. This entry was posted in Activities, Destinations, Dining, Family, Lodgings, One-of-a-Kind, Romance and tagged American Diners, Bear Mountain Lodge, Best of Pennsylvania, Tioga County, Wellsboro. Bookmark the permalink. Staying at a Lighthouse Keeper’s House May Not be Luxurious, but it is a Fun Experience! We Joined a Whale of a Party in Baja, Mexico, and You Are Invited! Enter your email address to follow Luxury Travel Almanac and receive notifications of new articles by email.